Despite some of the best animal protection laws in the world and a renowned heritage of reverence for life, modern India is a country where millions of animals suffer severe neglect or abuse. Overpopulation, poverty, pollution, superstition, apathy and ignorance all contribute to their plight. In a country where human misery and impoverishment remain high, the welfare of destitute animals is a low priority. Browse our media library to learn more. India’s animals have strong local allies who are dedicated to their animal welfare organizations. 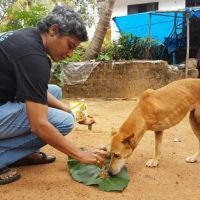 Help Animals India seeks out the best of these under-funded organizations to provide financial and practical assistance where it can make the most difference. We strive not only to achieve immediate benefits for India’s animals, but to nurture an enduring culture of animal protectionism. Learn more about the groups and projects we support. Help Animals India is a USA non-profit 501(c)(3) charity dedicated to supporting efficient and effective animal protection organizations in India. We strive to put our donors’ contributions to work where they are most needed and can do the most good. Help Animals India develops close relationships with the NGOs and thereby ensures all donations given are transparent and and do the most good. Learn more about how we donate and view our tax returns. Your compassion goes a long way in India! The quickest and easiest way to donate via credit card, on a one-time or recurring basis. If you would rather donate using your bank account or PayPal balance. 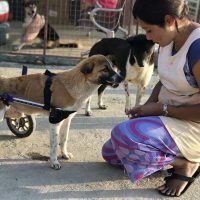 Help Animals India supports projects and groups across India and Nepal, directing your donations where they are most effective. Read about some of our key projects and learn about some of the amazing groups we partner with. A special award plus elephants, cats, cows and dogs! Celebrating our 10th Anniversary, made possible because of YOU!